Following Kris Aquino’s indictment to former business partner, Nicko Falcis for qualified theft, renowned Political Blogger Sass Rogando Sasot turns to corrival blogger, Jover Laurio, pre-judging the latter that she maybe the mysterious blogger behind Aquino’s payroll. Sasot earlier taunted the Queen of All Media through an Open Letter in her Facebook blog page, ‘For the Motherland’ on allegations over a paid “Yellow” blogger responsible for denouncing the Duterte administration and other independent bloggers. Sasot also noted that Kris could face legal sanctions should the allegations are proven valid. Although the ‘Pinoy Ako Blog’ author has yet to comment on the issue, Sasot already prepared 2 questions for Laurio to ponder, as stated on her post. 1. 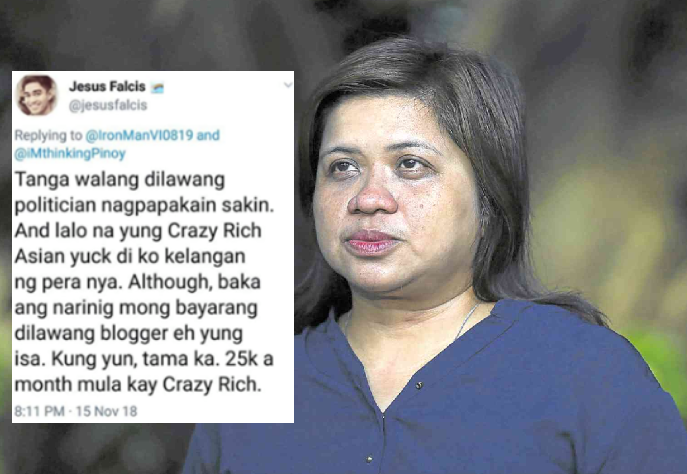 Jesus Falcis, the brother of Nicko who allegedly stole millions from Kris Aquino, claimed that a YELLOW BLOGGER receives 25K/month from Kris Aquino. Since YOU are the only Yellow blogger out in the open, are you receiving 25K/month from Kris Aquino? 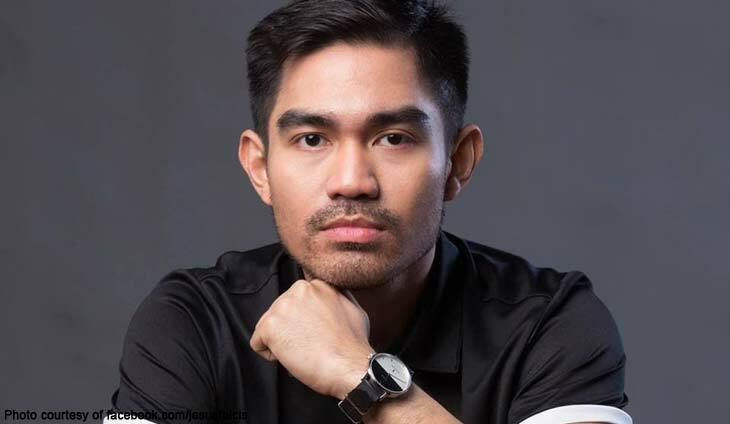 If you’re not the yellow blogger Jesus Falcis was referring to, what can you say about Falcis’ claim? 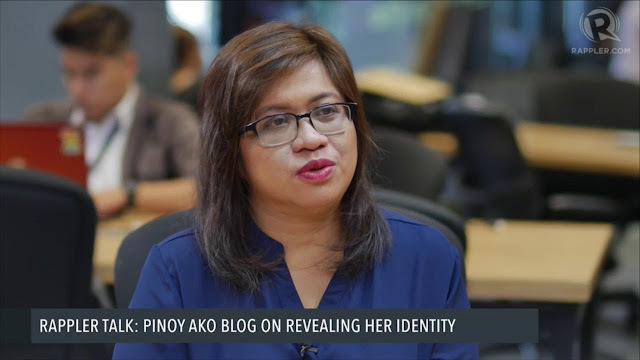 What could be even more suspicious behind the truth of Sasot’s allegation is the link between ‘Pinoy AKo Blog’ creator Jover Laurio and Atty Jesus Falcis, whose brother Nick is currently charged with qualified theft. Jover even posted images of her having a light moment with the abogado, November last year with a caption: “Blogger. Power of 2. @jesusfalcis” on Twitter. The photos showed both are even twinning in their outfits. Falcis came in peace and as an ally to Laurio after the blogger was touted as creator behind Pinoy Ako Blog. Earlier reports confirmed that Jesus is among Laurio’s fighting squad against avid Duterte supporters.